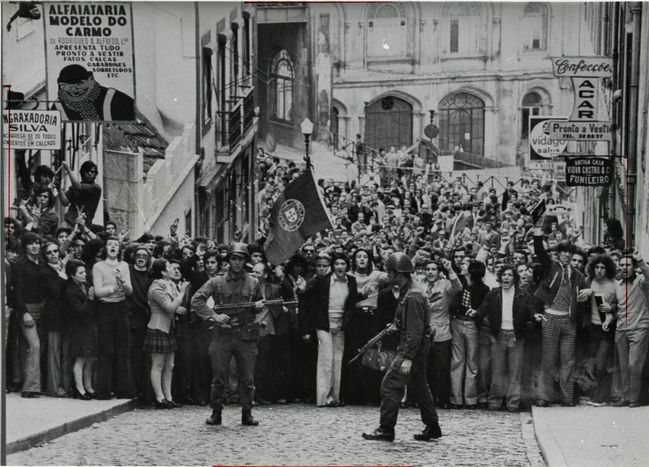 42 years ago, Portugal overthrew a fascist regime with flowers on top of riffles and zero bloodshed. Into the world was about to be released one of the most-regarded movies of all time: "The Godfather II" by Francis Ford Coppola, way before streamings or DVD's. Books were still popular to read on paper, Charles de Gaulle airport opened in France, women's liberation continued, the hippie culture faded and in the US, people protested against the Vietnam War. Jimi Hendrix had died already after electrifying his fans with guitars on fire, AC/DC sung about Hell and the unperfection of humanity and the Rubik's cube was invented. At the same time, Portugal became a Democracy for the first time in the country's controversial history. 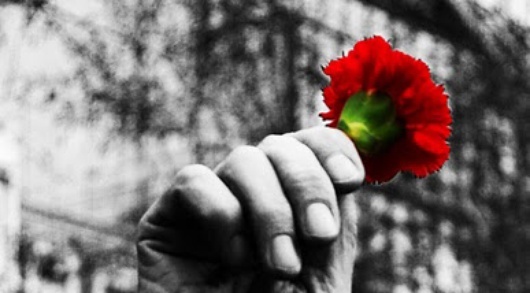 25 of April was quickly coined the "Carnation Revolution", because the soldiers that overthrew the fascist regime did not shed any blood and carnation flowers were put into the muzzles of rifles and on the uniforms of the army men. The Freedom Day is now one of the most important dates in the country's history. The people were not only free from the regime: they were free to think for themselves for the first time, they were free to publicly say whatever they thought with no repercussions. The country opened up to the world after almost 40 years of iron-fist ruling from a dictatorship that purposedly kept the people uninformed, uneducated and the country poor and faithful to Catholicism. The revolution marked the end of the Estado Novo, the longest-lived authoritarian regime in Western Europe and the birth of Democracy. Technically, Portugal has the same amount of democratic years in its history as fascist years. But how did that happen in the first place when the whole western world was moving forward and the Man had even been to the moon? Because the undemocratic government was tolerated by its NATO partners due to its anti-communist stance. There were two secret signals in the coup: first the airing (at 10:55 pm) in public radio the song "E Depois do Adeus" by Paulo de Carvalho, Portugal's entry in the 6 April 1974 Eurovision Song Contest, which alerted the rebel captains and soldiers to begin the coup. Next, on 25 April 1974 at 12:20 am, Rádio Renascença broadcasted "Grândola, Vila Morena", a song by Zeca Afonso, an influential folk and political singer-songwriter exiled in France at the time. This was the signal that the Armed Forces Movement gave to take over strategic points of power in the country and "announced" that the revolution had started and nothing would stop it except the possibility of a regime's repression. Despite repeated appeals from the soldiers on the radio warning the population to stay safe inside their homes, thousands of Portuguese took over the streets, mingling with the military insurgents and supporting them. One of the central points of those gathering was the Lisbon flower market, then richly stocked with carnations, which were in season. Some military insurgents would put these flowers in their gun-barrels, an image which was shown on television around the world. Although there were no mass demonstrations by the general population prior to the coup, spontaneous civilian involvement turned the military coup into an event with unexpected popular participation. The dictator, Marcello Caetano found refuge in the main Lisbon military police station at the Largo do Carmo. This building was surrounded by the MFA, which pressured him to cede power to General Spínola. The dictatorship had been overthrown.